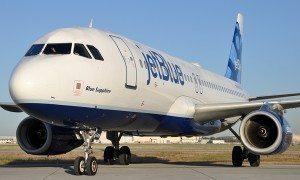 South African Airways and JetBlue Airways have introduced codeshare operations on flights between Washington, DC-Dulles Airport and Accra, Ghana in Africa, effective immediately. 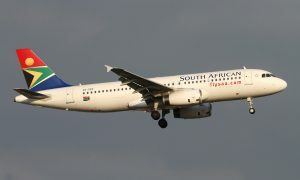 “South African Airways welcomes the addition of the JetBlue codeshare on South African Airways operated flights to/from Accra, which will enhance service that both airlines can offer the business and leisure customers, as well as, the Ghanaian diaspora communities in the U.S. ” said Marc Cavaliere, executive vice president, the Americas for South African Airways. “The new codeshare flights on the Washington, DC-Accra route is further expansion to the successful codeshare services that South African Airways and JetBlue previously introduced to Johannesburg, Cape Town, Durban, Port Elizabeth and East London in South Africa and Dakar, Senegal in West Africa”. 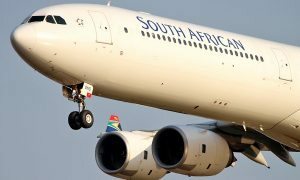 “We are excited to further expand our partnership with South African Airways and add our seventh codeshare route on their network. We now offer our customers more options and connections between North America and both West & South Africa, as we continue to grow our partnership network with South African Airways,” said Scott Laurence, Senior Vice President, Airline Planning. South African Airways links the world to most cities and destinations across southern Africa and the Indian Ocean islands, including South Africa, Angola, Botswana, Kenya, Mauritius, Mozambique, Namibia, Tanzania, Zambia and Zimbabwe.